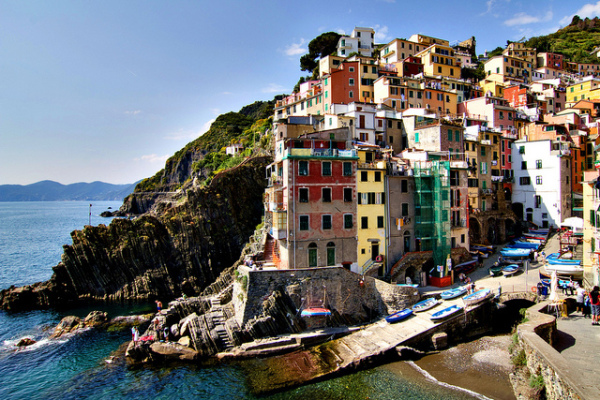 The five villages of the Cinque Terre are a popular destination for many travelers in Italy. Aside from the “Holy Trinity” of Rome, Florence, and Venice, they’re one of the formerly off-the-beaten-path spots that are clearly right on the beaten path these days – even if they’re a little more challenging to reach than the big cities. 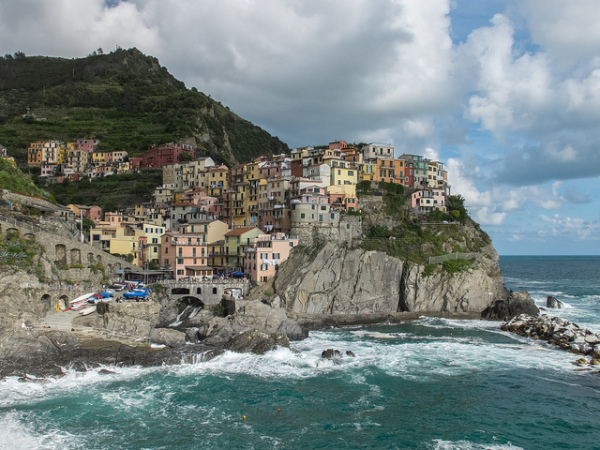 Before you head for the Cinque Terre, either on a day trip or a longer stay, here’s an overview of the five towns that make up the area to give you a better idea of what to expect (and, if you’re staying the night, where you want to look for a hotel). Listed below, the five towns are in order starting in the northwest and moving southeast along the coast. And, for kicks, I’ve described each town’s personality as if they’re sisters in the same family. Just go with me on this. Monterosso al Mare, often referred to simply as Monterosso, is the biggest of the five Cinque Terre towns and has the largest beach. The beach is walkable from town, too, whereas some of the other area beaches require something of a walk. 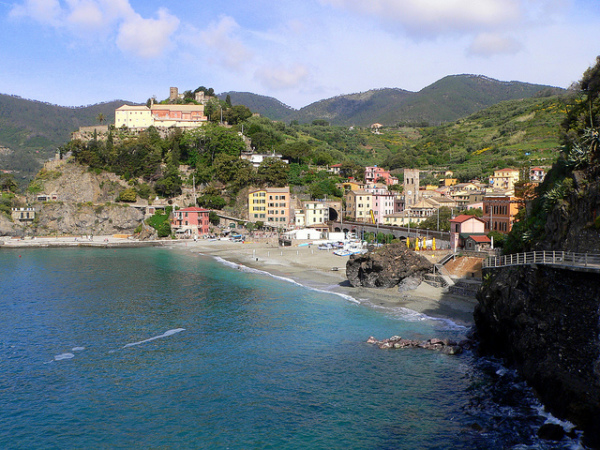 Lodging options are plentiful in Monterosso, including inexpensive hostel-esque places, so this town can be crowded with young travelers in the summer. Trains from bigger cities serve the Monterosso station, while they don’t stop at the other four towns’ stations, so it’s easy to get in and out. I think of Monterosso as the established older sister who has already moved out of the house, but who is still youthful enough that she knows how to have fun. She’s got a steady job so she can afford some frilly niceties, but she’s mainly focused on enjoying the gorgeous beach at her doorstep. Vernazza is Rick Steves’ favorite Cinque Terre town, with good reason. It is one of the most photographed towns, with its beautiful piazza right on the small beach and a small harbor framed by a little domed church, the ruins of a castle tower, and a short boardwalk stretching into the water. I’ve seen people toting Steves’ guidebooks in Vernazza, as well as met up with his company’s tour groups there (he jokes that if you want to avoid his tours, avoid Vernazza). The town was inundated by the 2011 mudslides, but is back open for business and still popular. 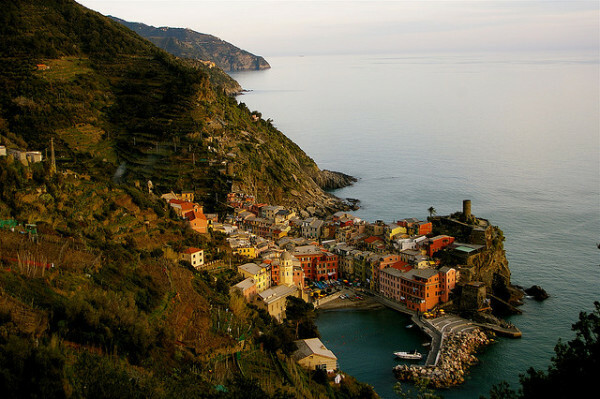 Vernazza is the family’s great beauty, effortlessly poised, and yet humble and welcoming. She’s sweet and complimentary – she always makes you feel like a million bucks just by being around her – and although she’s not one to change with the latest trends she always looks fashionable. She’s timeless and ageless, and everyone loves her. 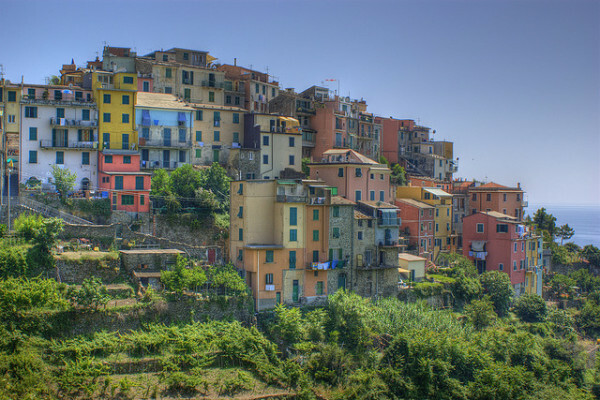 Corniglia is the only Cinque Terre town not on the water. It’s high on a cliff overlooking the sea, which means it’s got some of the best viewpoints that don’t involve hiking from one town to the next. During the day, when hikers are making their way through all five towns, little Corniglia can be bustling – especially the restaurants, where people stop for snacks before trekking onward – but in the evenings, if you’re staying in Corniglia, it’s one of the more peaceful places in the Cinque Terre. Every family has a shy member, and that’s Corniglia. Oh, she’s incredibly pretty in her own right, but isn’t as comfortable in the spotlight as some of her sisters. She’s the quiet one, although she can be a good hostess if she knows you’re not staying overly long. She’s usually content to watch the action from above, smiling. Manarola has always seemed to me a little more rough around the edges, at least as far as its Cinque Terre siblings are concerned, though none of the towns can remain very quiet anymore (particularly during the busy summer season). And I mean that in a good way, too. Less polished can be ideal when you’re looking for something a little more homey and less touristy (in an admittedly touristy area). Manarola is one end of the famed Via dell’Amore, the paved walkway, so it can get busier during the day. Manarola is a bit of a rebel. She doesn’t clean her room as often as her sisters would like, and she insists on dying her hair wacky colors all the time, but that’s just the tough exterior. She wants you to think she runs with a rougher crowd, but underneath the studded leather and piercings she still gets straight As and writes poetry about fishermen. Riomaggiore is at the other end of the Via dell’Amore – the walkway is so flat that its even baby-stroller-friendly – and the town itself slopes steeply away from the small harbor. Further up the hill, the town sort of levels off and becomes a bit more modern, and though it’s a relatively short walk from there to the water it’s all at an angle, so be warned. 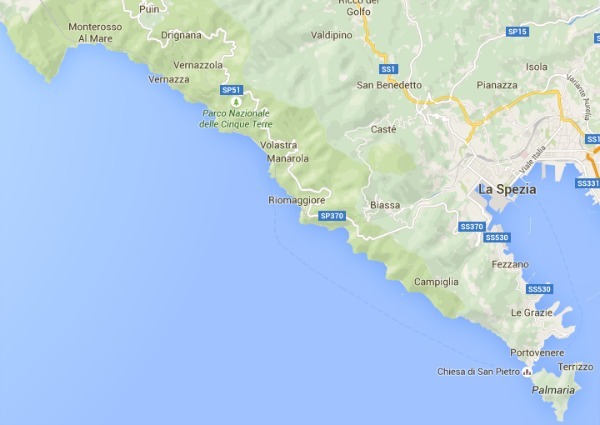 Trains from Riomaggiore head for La Spezia and larger cities further afield. Now that Monterosso has her own place, Riomaggiore is basically the big sister figure. She’s not the most popular or beloved sister, but she’s the one all the others turn to when they need something. She knows how to get things done, and can get you out of whatever pickle you’re in, too. She might scold, but she’s got a warm heart and loves having people over. Due to the 2011 mudslide, some of the trails connecting the five villages – which are very popular for hiking – were closed for repairs. Some remain so. There are other trails in the Cinque Terre you can still hike on, but you should check on which trails are open before you leave home. Great descriptions! Vernazza has always been my favorite to stay in. And I love love love visiting the other towns! Love the way you wrote about each one as a sister. You nailed it!!! Thank you! 🙂 I definitely had fun with it. Hi We are going to do the walk in July this year. We would like to start form Monterasso. Is there somewhere to park your car near the beginning of the hiking trail? Each town has a parking area, though none of them are near the hiking trail. The parking lots are usually just as you drive into the town – some have a shuttle that runs travelers from the parking area into the town center.